When it comes to shopping for the big day, nothing’s more stressful than finding the actual garments and accessories to wear. It’s obvious that the wedding dress is the most crucial article of clothing needed in the wedding—and it more or less sets the tone for the bride’s entire wedding and, naturally, her mood. Although there’s a lot of wedding dress sites out there—trust us, we know—a lot of people don’t think about wedding jewelry, besides the rings themselves. The jewelry worn by the bride and her party are important elements of their wardrobe. PrimeStyle runs on a business philosophy offering ‘the widest selection of popular and high-quality designed wedding jewelry’ at even lower prices—perhaps the lowest possible for higher-end wedding jewelry. The company itself first established itself in 2001, since then shipping their products to a variety of local and international customers. PrimeStyle houses some of the more unique and elegantly designed jewelry on the Internet. 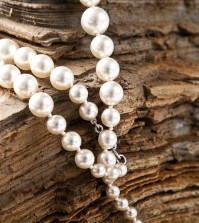 Some consumers might find some designer wedding jewelry rather sparse or lacking quality. PrimeStyle, however, fulfills both requirements for a variety of different consumers. Their current selections span different designer jewelry in uniquely arranged settings to more classic wedding jewelry designs. Some consumers have even noted that PrimeStyle stocks jewelry otherwise not found in popular commercial jewelry shops. This makes PrimeStyle an ideal shop for brides looking for something both unique and elegant. For shoppers thinking about diamonds—PrimeStyle features a wide selection of diamonds and diamond accented jewelry that consumers adore. PrimeStyle features a simple-to-use ordering and checkout system. Many customers reported having a relatively easy time using the site for browsing and placing an order. All of PrimeStyle’s items are backed up with a Low Price Guarantee, ensuring customers get the lowest price for their jewelry possible, in contrast to other higher-end retailers. Customers can pay for their orders using several payment methods, including PayPal, bank wire transfers and credit cards. PrimeStyle completely covers any customer concerns with their customer support service. As they pride themselves on providing their customers with high-quality diamonds and jewelry, their robust customer support covers all concerns about their merchandise and other needs. As an online wedding jewelry retailer, PrimeStyle may be the best for brides on a budget looking for higher-end complementary jewelry. To our customers at BestforBride, don’t forget to research before committing to any wedding purchases!